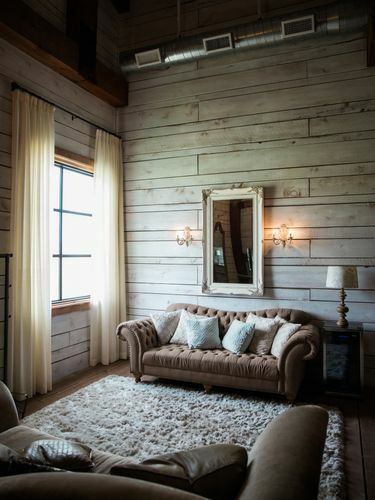 Surrounded by large oak trees, a winding creek and open pasture, Morgan Creek Barn is a stunning whitewashed rustic-modern barn placed perfectly on 52 acres in the countryside. 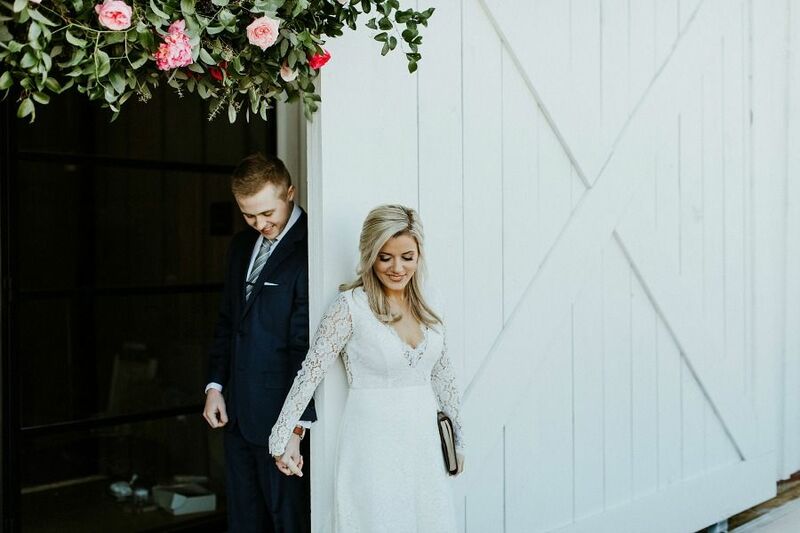 Whether you are looking for an indoor or outdoor ceremony and reception, Morgan Creek Barn provides the perfect backdrop for your special day. Accommodating up to 300 guests, the timeless crystal chandeliers hanging from the dramatic vaulted ceilings add a gorgeous effect to any wedding. 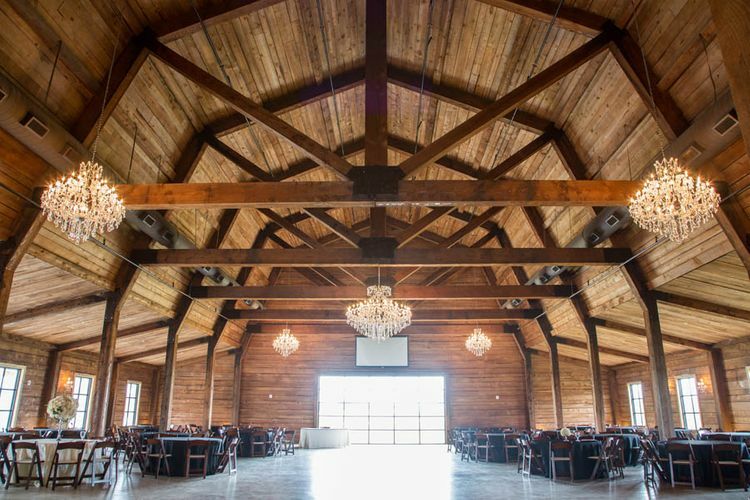 Your guests will feel comfortable in our air-conditioned and heated modern barn. 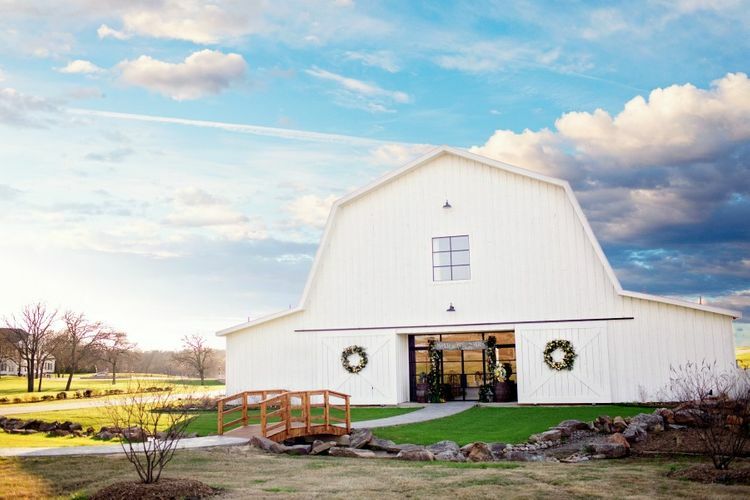 Morgan Creek Barn features modern framed glass doors & windows and a brand new outdoor covered ceremony location. Our rustic-modern pavilion highlights steel columns, large fans, trusses and a stunning outdoor fireplace. 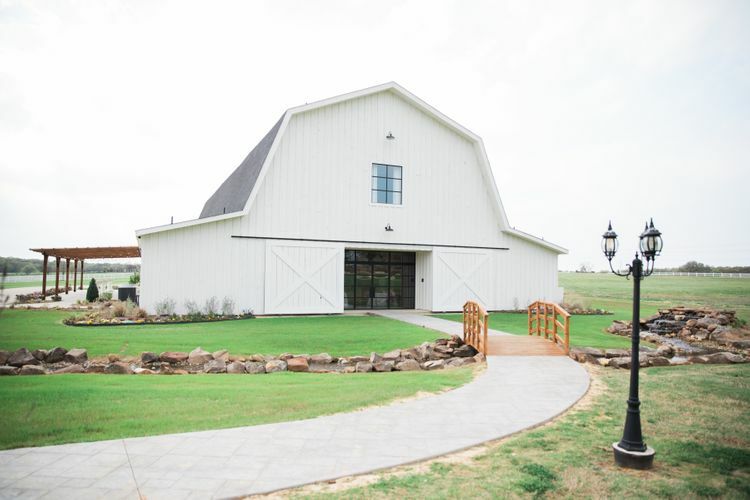 The barn also features an outdoor covered cocktail patio with paved stone and string lighting for you and yours to experience the beauty of the Aubrey countryside. Morgan Creek offers the option to select in-house Catering or to bring in the Caterer of your choice. 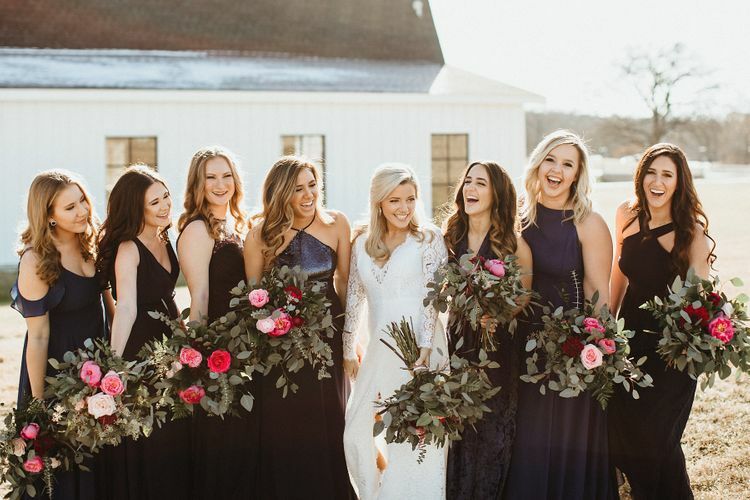 "We LOVE The Morgan Creek Barn! This was by far the best day of my life! My guests are still speaking of the elegance and beauty of the Venue to this day. 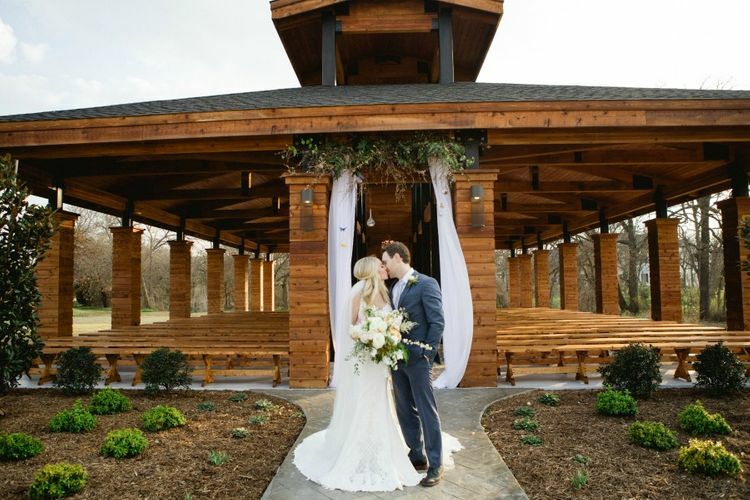 I couldn't have asked for a better place to have my beautiful wedding to my awesome husband!" 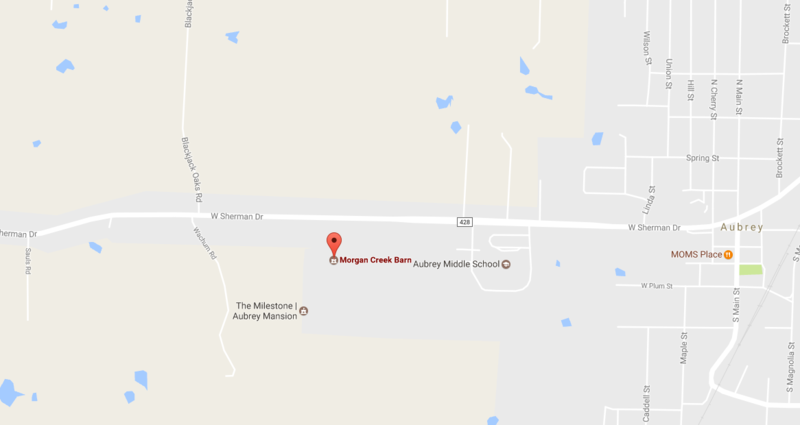 INTERESTED IN MORGAN CREEK BARN?